There are two things that are most likely to make people struggle with patience. The first is our genetic makeup. Some of us come from a gene pool that has a lot of calm, cool, and collected in it. Patience comes more naturally. Others of us come from a gene pool that has a lot of wham, bam, slam it together, along with a few too many fits of rage. If you come from this latter pool (as I do), patience is more difficult to acquire, but still very much possible. Regardless of personality type, the greatest challenge we all face is the microwave society in which we live. We’re bombarded daily with messages that have these words and phrases in them: fast, quick, high-speed, rapid, express, swift, sudden, prompt, immediate, at once, without delay, in a flash, now, in no time, lightning-like, momentarily. But it isn’t just the messages that get into our heads, it’s what we experience on a day-to-day basis. At home, all we have to do to turn on the TV, change the channel, heat our food, open the garage door, dry the clothes, wash the dishes, or make a phone call is push a single button. At work we’re encouraged (pushed) to get our assignments done quickly and to become proficient at multitasking. In sports, they’re trying to figure out how they can speed up the games. In places of worship, the pastor carefully watches the length of the sermon because people get fidgety and want to leave. They probably want to go out for a bite to eat at a fast-food restaurant. So what do you do if you have a hurry gene in your lineage, work in a high-stress job, commute every day, and have kids at home? You learn to become more patient. Ask 100 people if they’d like to have more patience, and more than ninety-five of them will tell you yes. And even if you don’t ask why, most of them will tell you anyway. Fully aware of my lack of patience, I thought I’d ask others how they were doing. I asked literally hundreds of people on airplanes and in my workshops. Their answers surprised me. It seems like almost everyone feels a need for more patience. A dear friend, one of the most humble, kind, and gentle persons I know, told me recently he was praying for and working on becoming more patient. While it made me feel a little better knowing that I’m not alone, it also reminded me just how much work I have to do in this area. Most of us were taught as children that patience is a virtue. It is. It’s also a sign of strength. We all admire people who manage to consistently show restraint and stay calm when things around them get chaotic. Unfortunately, what most of us were not taught was how to become more patient ourselves. Just being told it’s a virtue isn’t enough. That’s why so many of us continue to struggle. Fortunately, there’s hope. The most important point to be made here is that patience can be learned. Although I read several excellent books and articles about patience in preparing to write this, something much simpler proved to be of greater value. I talked at length with the four most patient people I know. I asked each of them how they had developed it. Their initial answers were almost identical: “I learned the hard way.” Although they had different stories about how they’d developed patience, the principles they’d learned were the same. Patience starts with feeling a genuine need for it. Patience requires strong desire and motivation. Patience is hard work, especially at the beginning. Patience requires practice, practice, practice. Patience becomes easier as it becomes a habit. Patience enriches every aspect of life. 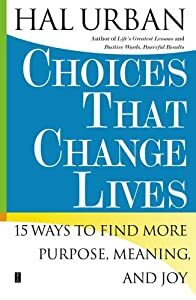 By Hal Urban – Excerpted from Choices That Change Lives by Hal Urban. Copyright 2006 by Hal Urban. Reprinted by permission of Fireside, an imprint of Simon & Schuster, Inc. Originally published in ASCP’s Skin Deep, June/July 2006. Copyright 2006. 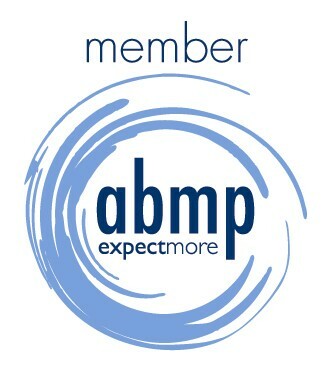 Associated Skin Care Professionals. All rights reserved. Gallery | This entry was posted in Energy Healing, Energy Medicine, Health and Wellness Coaching, Holistic Healing, Hypnosis, Massage, Massage Therapist, Massage Therapy, Our Center, Therapeutic Massage and tagged complementary and alternative medicine, God, Health, medical, Patience, Patient, Personality type, positive psychology, Ralph Waldo Emerson, Simon & Schuster, stress job, Television. Bookmark the permalink.